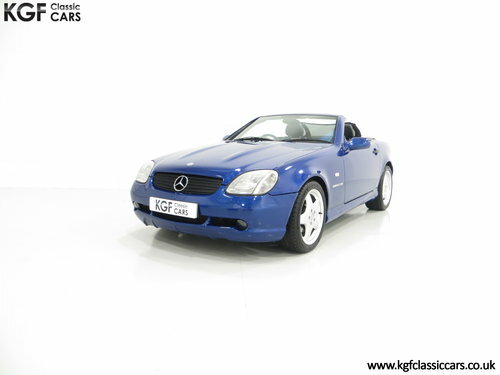 A full specification Mercedes-Benz SLK230 Kompressor (R170) with 34,780 miles. Acceleration skid control (ASR), front occupant airbags, side airbags, electro-hydraulic Vario roof in car colour, roll over protection, heat insulated glass, dual zone heating/ventilation, Speedtronic cruise control, service interval display, heated and electrically adjustable door mirrors, wind deflector, air compressor, warning triangle, tool roll, first aid kit. Factory options; AMG lightweight alloy wheels, AMG body styling kit, leather upholstery, preparation for roof carrying system, metallic paint, adjustable steering column, heated seats, headlamp wash, air-conditioning, wind deflector. 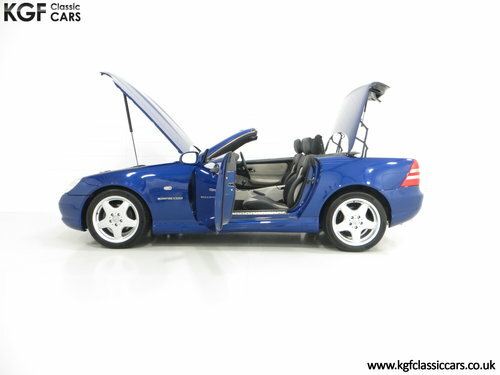 This stunning SLK230 is finished in Linarite Blue, (Code 352), specified as a factory option at a cost of £651.20. Having covered just 34,780 miles, this garaged example is in beautiful condition with a lustrous shine and uniform polished finish to the factory paintwork. 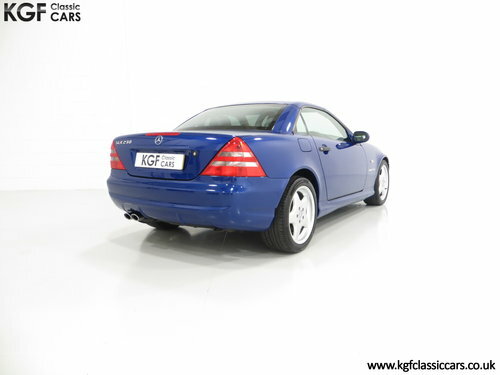 A few carefully touched in stone chips are difficult to detect and there is a small ding to the boot lid and driver’s door, a light rub to the rear bumper and two chips to the front window. The electro-hydraulic Vario roof is seamless in operation and the wind deflector remains with the car. Originality seekers will be pleased to see the factory stickers within the door apertures. 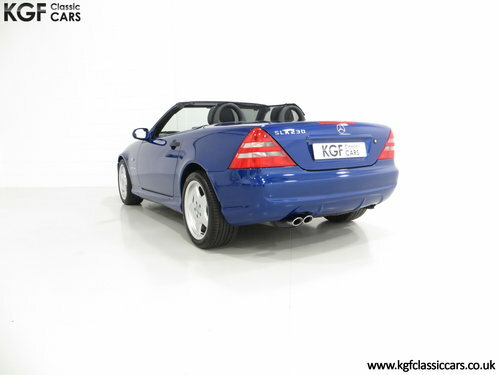 Not to be confused with the usual offerings, this super-low mileage SLK is without question amongst the best examples. This well appointed two seat roadster features many factory specified options including leather upholstery, heated seats and air conditioning. 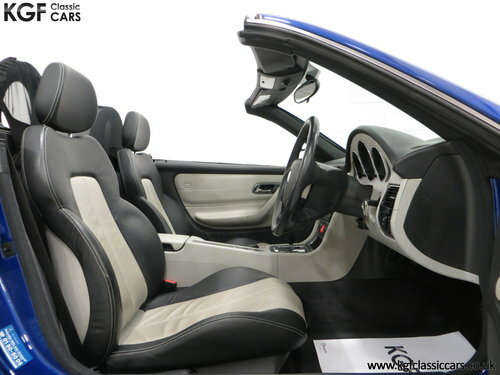 The Quartz/Black leather seats, (Code 225), are clean and free from wear with firm bolsters. Interior preservation is clear with only tiny hairline creases to the outer driver’s seat bolster and slight discolouration to the steering wheel badge. The matching colour scheme door cards and headlining to the Vario roof are as new. All controls and functions operate seamlessly including the Speedtronic cruise control, air conditioning and original Mercedes-Benz stereo. Factory stickers remain on inner boot lid, and the luggage area holds the space saver spare wheel, compressor, first aid kit, warning triangle, tool roll and jack, all present and in their place! 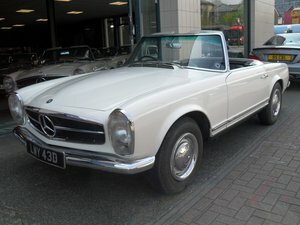 Even factory codes remain stamped on the boot floor of this superbly original low mileage example. The supercharged six-cylinder engine displaces 2295cc to develop 193hp at 5300rpm and 280Nm torque output. Impressive performance credentials are quoted in the marketing literature at 0-62 in 7.5 seconds with a top speed of 142mph, and this machine performs at optimum level. The engine bay is pristine and proudly displays the bright red ‘Kompressor’ rocker cover infill as well as factory stickers, bulkhead chassis stamp and slam panel stamping. The standard electronically controlled 5-speed automatic transmission operates precisely as it should with positive kickdown and both manual control and winter/sport modes. Factory upgrade 17” AMG alloy wheels are in superb order with no kerb damage and only miniscule markings. Quality matching Continental ContiSport tyres of size 225/45 R17 front and 245/40 R17 rear have plenty of tread remaining. The anti-lock braking system offers absolute stopping power to install complete peace of mind. 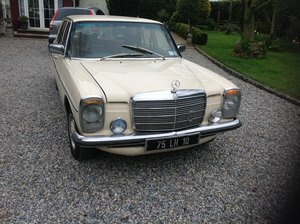 Registered new on the 1st June 1997, the car has incredibly remined in the same family since 1997, 20 years with Mrs Moorhouse until March 2017 and her Son in Law, Kennon Miller, thereafter. 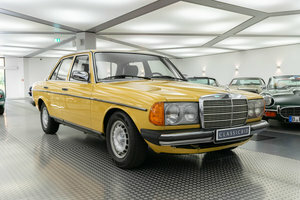 With virtually every factory option specified, the original bill of sale in the history file is for a substantial £37,500! 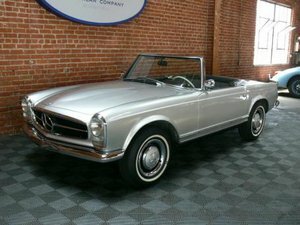 Having covered just 34,780 miles from new, this low owner example boasts very desirable credentials. The original service book displays Mercedes-Benz main dealer stamps, the last being Robinsons Mercedes of Peterborough in 2017 at 32,250 miles for a major service with supporting invoice for £1,222.53. The Mercedes document wallet holds all handbooks, guides, dealership literature and security code cards. A further large folder contains service and maintenance invoices and previous MOT certificates. Two sets of keys plus the remote-control master key card remain with the car and there is an original sales brochure included. 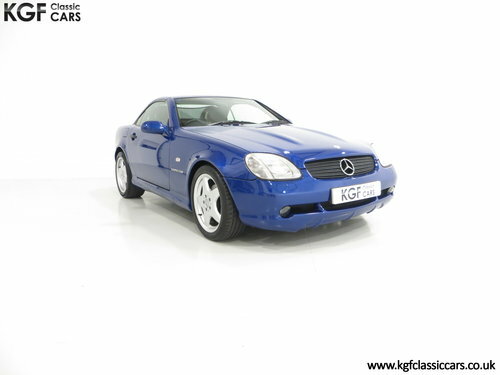 Early, low mileage and cossetted SLK’s are fast becoming desirable and difficult to find and this exceptional example has optimum credentials and condition to match.